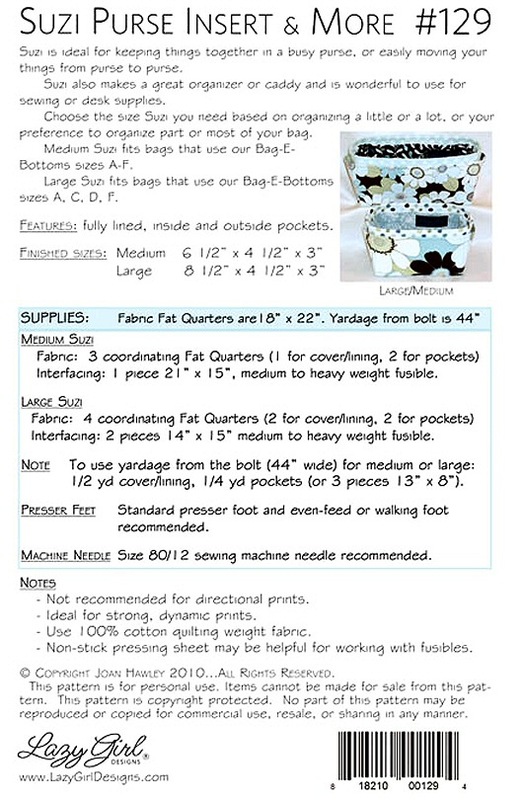 Suzi Purse Insert & More sewing pattern from Lazy Girl Designs. This is the purse insert SO many LazyGirls have been asking for. But WAIT! 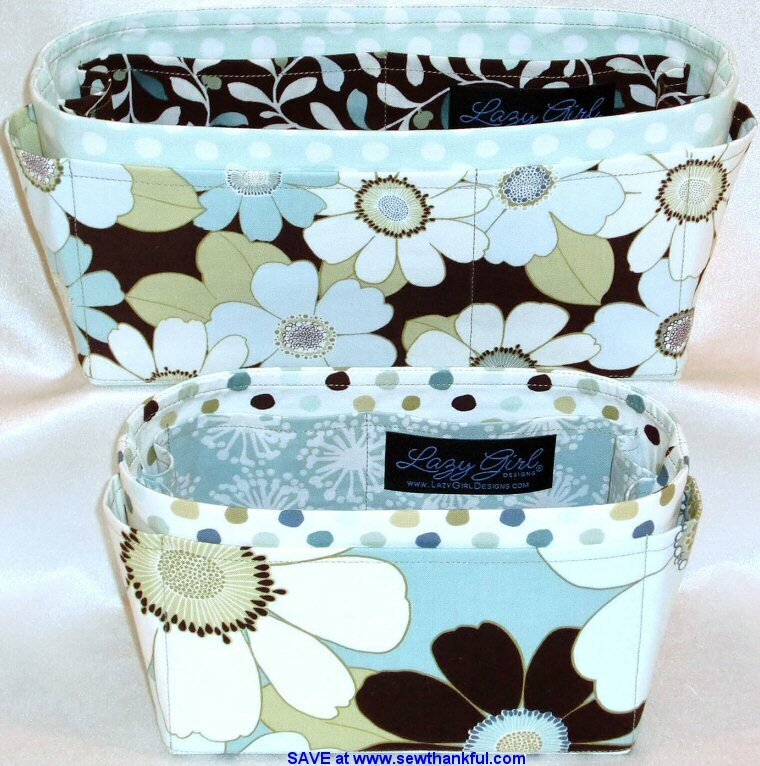 Suzi is sew much more than a purse insert. 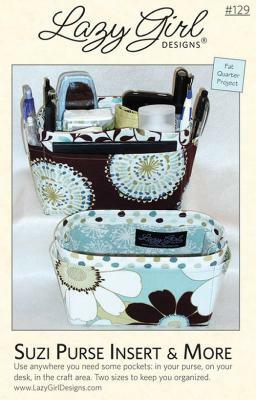 She's so sensational for organizing, she's almost as good as having your own personal secretary. Use Suzi anywhere you need some pockets: in your purse, on your desk, in the craft area. 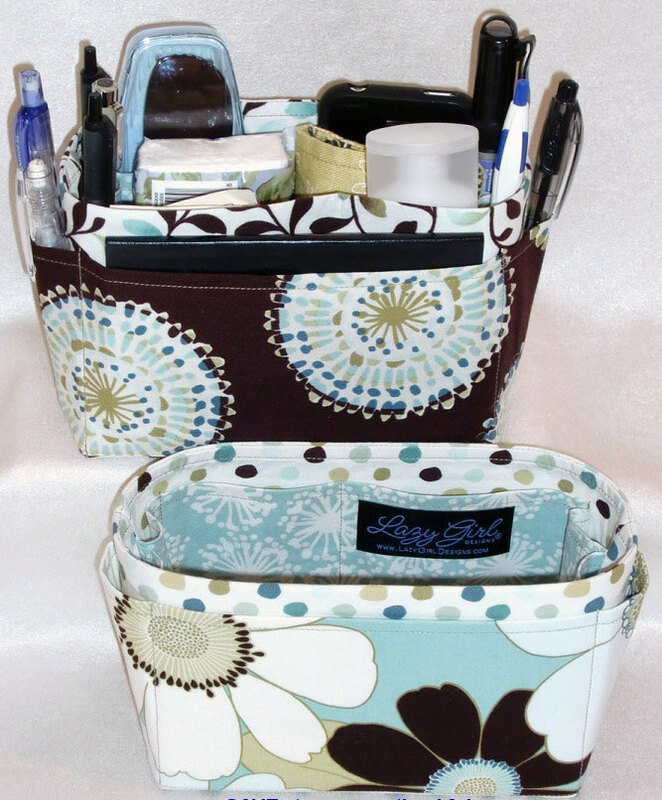 Suzi Design Features include: Fully lined, inside and outside pockets.